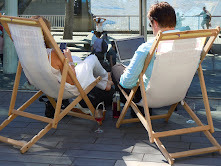 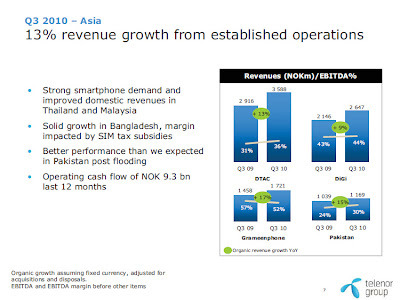 Telenor said its revenues grew 6% year-on-year, on an organic basis, to 24.1 billion Norwegian krone (4.12 billion US dollars) in the third quarter of 2010, fuelled by strong growth in Asia, which more than offset declines in the Nordic region and eastern Europe. 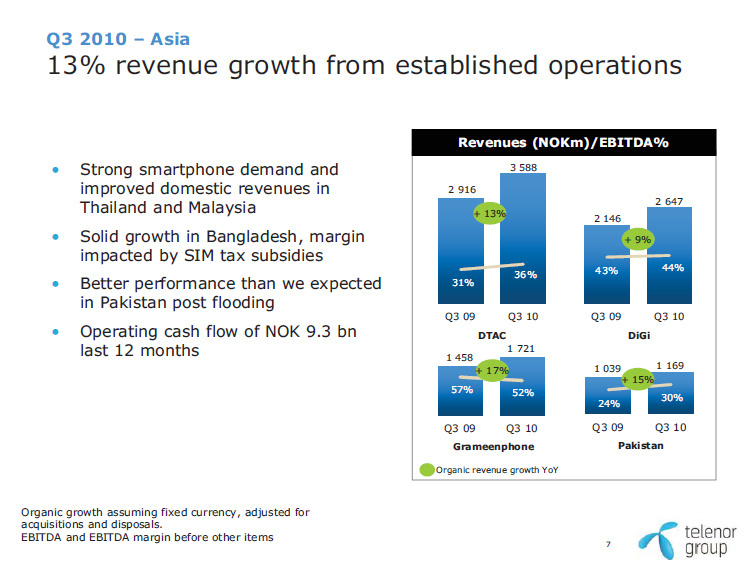 Revenue generated by Telenor's established Asian operations climbed 13% year-on-year, while its new Indian operation generated sales of 214 million krone in the third quarter compared with just 56 million krone in the first quarter. 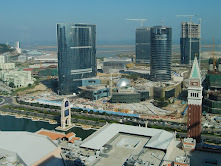 Capex in the quarter was just 2.3 billion krone, compared with 4.43 billion krone in the third quarter of 2009 as Telenor cut back investment in India.